Christmas morning came early to the Colorado mountains. Outside the window of our Steamboat Springs vacation rental apartment, there was a loud bang and clatter that woke us from a deep slumber. It was still dark outside. Guessing it wasn’t Santa on the roof, I peeked out the window and the answer was clear: snow plow. That meant fresh snow and a white Christmas for our Steamboat skiing adventure. A smile appeared on my lips as I rolled back over for a few more hours of sleep. 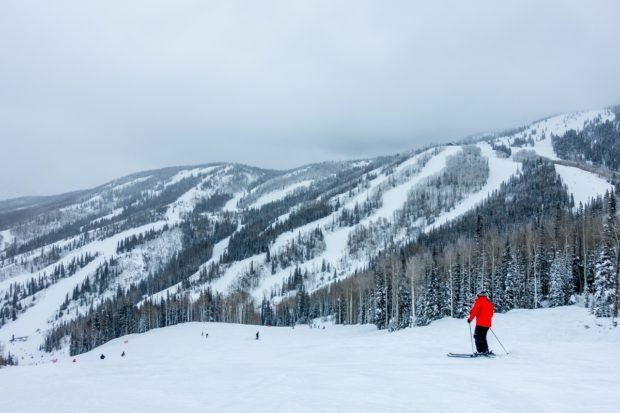 Despite living in Colorado for over two decades, I’d never been skiing at Steamboat Ski Resort. 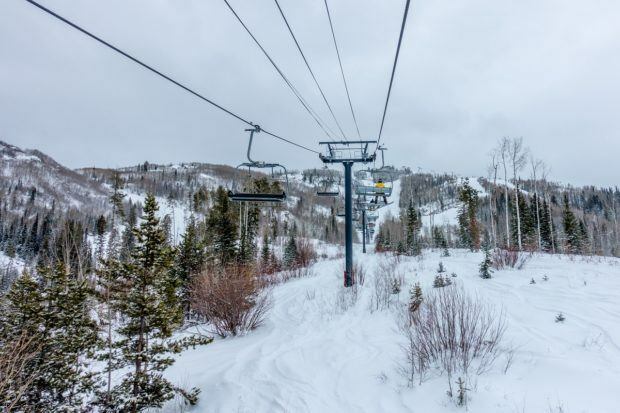 Now living thousands of miles away on the East Coast, we thought we should rectify that and hatched a plan to spend Christmas at the Steamboat Springs Ski Resort for the best skiing in Colorado. 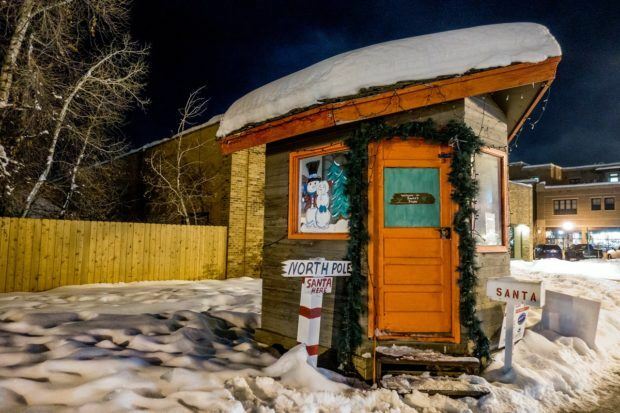 Steamboat Springs isn’t like other ski resorts in Colorado. 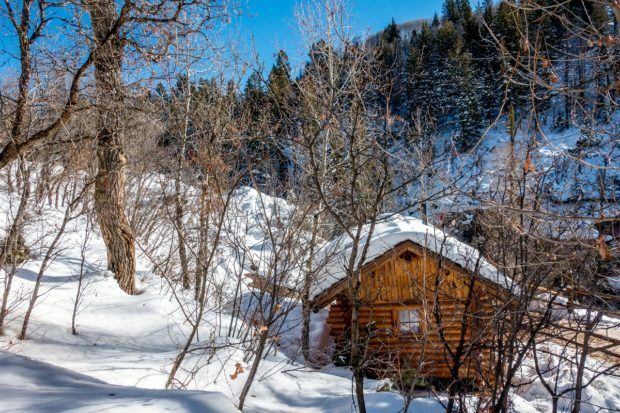 First and foremost, Steamboat Springs was a town long before there was skiing. Today, the 12,000 residents welcome hundreds of thousands of visitors every winter to hit the slopes. 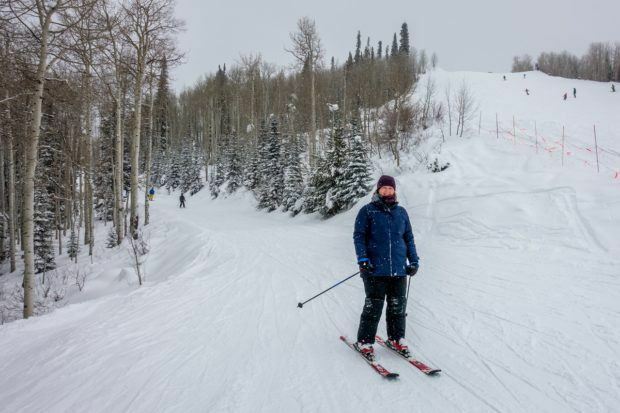 At just over 150 miles from Denver to Steamboat Springs (a three- to four-hour drive depending on weather conditions), it is not for day skiers. People coming to ski Steamboat Springs need to stay over. We opted for a vacation rental to save money over some of the more expensive hotel options in town. It also gave us a chance for good home cooking. The Gondola Square at the base of the Mount Werner is the home base of the Steamboat Ski Resort. 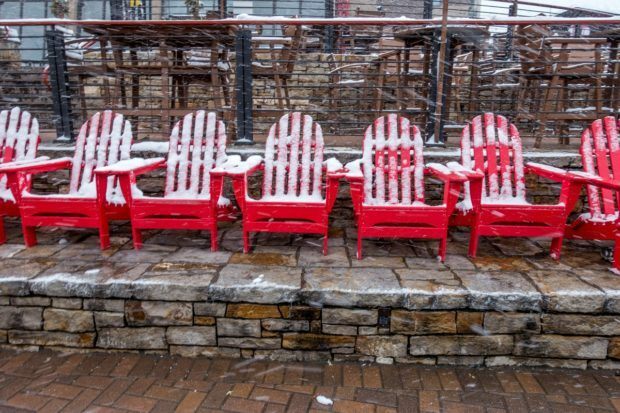 Here are ski rental shops, restaurants, bars (for that important après-ski). We got our Steamboat lift tickets. I was in for a big surprise. Those paper lift tickets that go on the wire wicket are long gone. Instead, we were given a QuickTrax card (the size of a credit card). 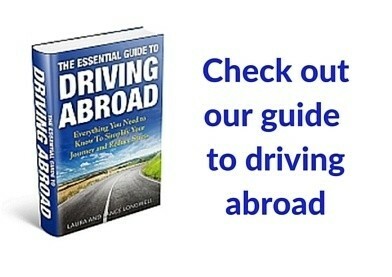 It goes into your jacket pocket and lets you pass quickly through turnstiles using RFID technology. As we discovered, QuickTrax speeds up the ski lift the process significantly! The gondola (which was the first eight-person ski gondola in the world) whisked us up Steamboat mountain to the mid-mountain lodge. We pointed the skis down the hill and we were off! A fresh four inches of snow had fallen overnight. We were far from the first people to be skiing Steamboat that morning, yet there was still plenty of fresh powder for us to experience. After skiing on the hard ice of the East Coast, the fluffy powder was a rare treat and made me miss Colorado skiing. On our first run, we pointed the skis down the Why Not trail – the longest at Steamboat Ski Resort at over three miles. Three miles is a long way. Three miles at over 9,000 feet above sea level is a really long way. Heading down the trail, I felt the muscles burn and knew we’d be sore the next day. We spent the morning skiing several runs off the Thunderhead Express lift before grabbing lunch at the Thunderhead Lodge. Our expectations for resort food are pretty low. You’re a captive audience, so they don’t really need to put a lot of effort into it. With our low expectations in tow, we stopped into the Stoker Bar & Restaurant for lunch. 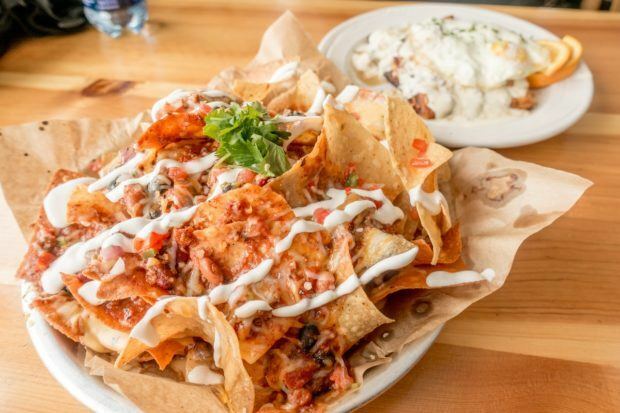 We ended up with the nachos topped with Colorado chili and the Werner Waffles – big puffy waffles topped with a mountain of gravy goodness. It was excellent and was certainly not what we’d expected for resort food, but it fueled our afternoon of Steamboat skiing. The afternoon took us up the Storm Peak Express and Christie Peak Express lifts in search of different terrain – and giving us the chance to push the limits of our abilities. Laura excelled. I was left feeling the over 9,000 feet Steamboat Springs elevation and pushing hard through the last runs of the day. At the end of the day, heavy snows started on the mountain, brought by equally strong winds. We wanted our way into the Bear River Bar for an equally strong beverage. It was just what needed after a hard day skiing Steamboat. We both looked at each other an knew we would be skipping out on the famous Steamboat night skiing. It was tempting, but we were exhausted. I’d like to say we hit the town and really lived it up. That didn’t happen. We both sank deeply into the leather couches of our rental condo and pretty much fell asleep to the soft glow coming from the fireplace. It was an early night. The next morning, we woke up sore – just as expected. 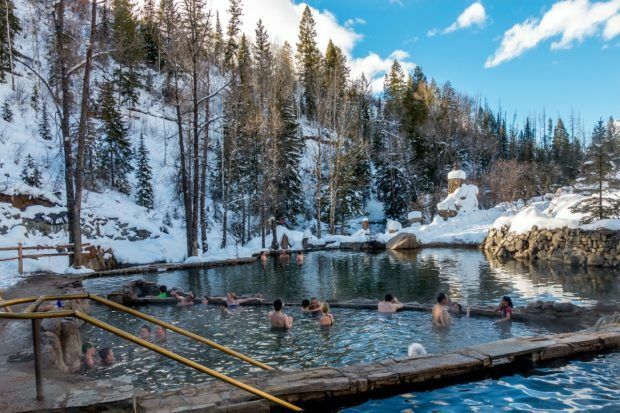 During a previous visit to Steamboat Springs in the summer we discovered the Strawberry Park Hot Springs. We figured the warm water would do wonders on our sore muscles, and we weren’t disappointed. 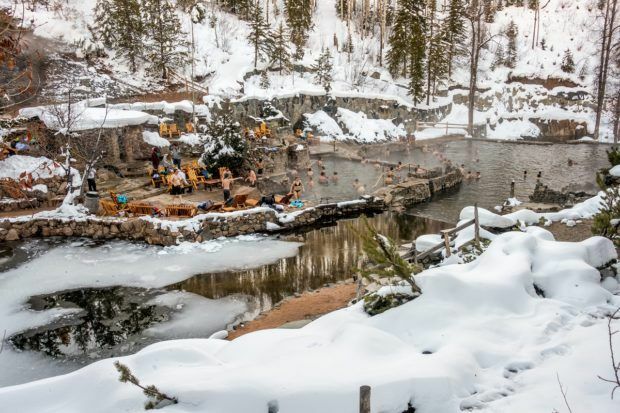 Strawberry Park Hot Springs is just one of the many things do in Steamboat Springs besides skiing. 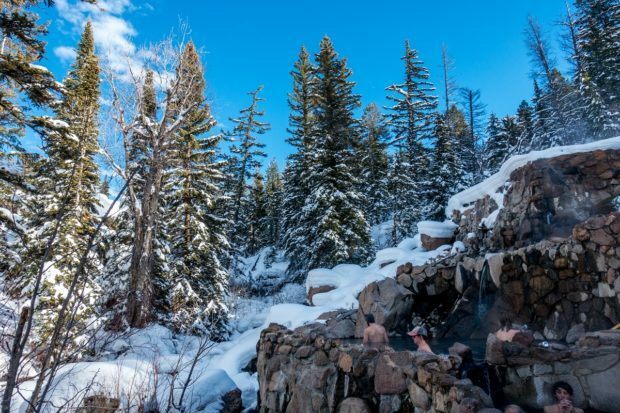 These natural hot springs sit way up a remote valley about eight miles from downtown Steamboat Springs. The naturally hot water bubbles out of the ground near boiling and is cooled by the mountain spring waters. Rock pools built into a river bed offer varying temperatures – from 104 degrees to basically ice cold. Soaking in the hot pool, we discussed our Steamboat skiing adventure. The mountain was more challenging than we expected. Did we mention it is over 9,000 feet in elevation? But it was also more rewarding than we expected. 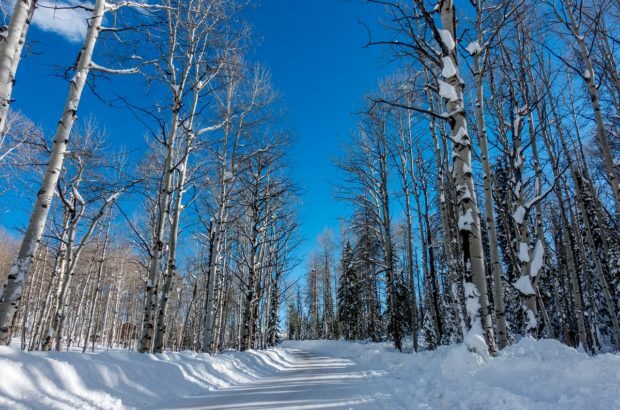 Steamboat Ski Resort is an incredible mountain and the snow was spectacular! 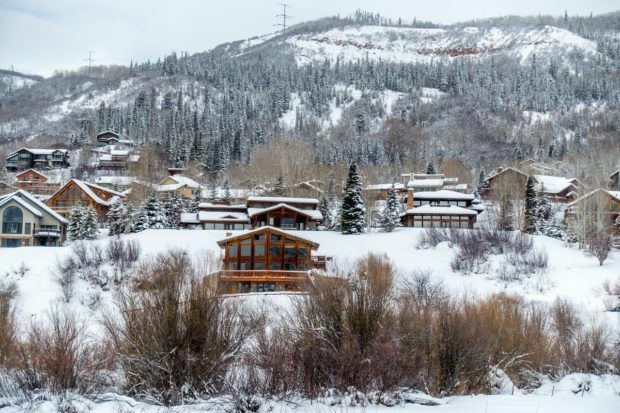 For us, it’s difficult to imagine a more perfect ski vacation. There’s a cute town, an incredible ski mountain, amazing snow conditions, and a fantastic hot springs to soothe our aching muscles. 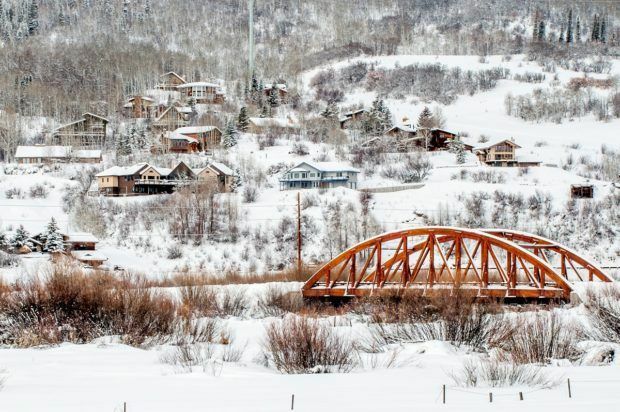 A Steamboat skiing adventure is the perfect wintry escape. 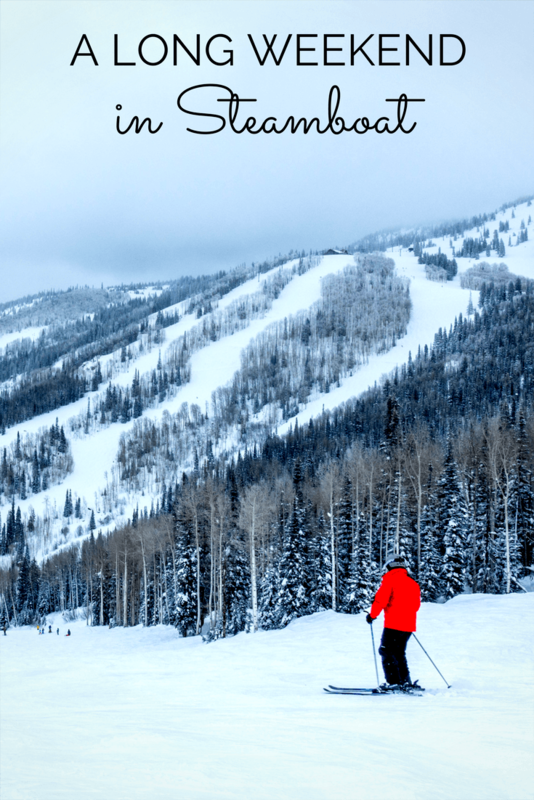 We were guests of Steamboat Ski Resort during our time in Steamboat Springs, Colorado. 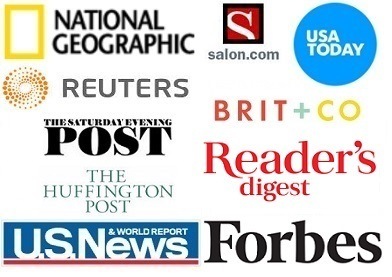 As always, all opinions of cold and vigorous are our own.